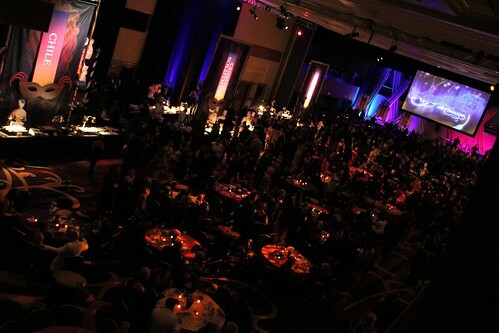 This past Sunday restauranteurs, chefs and restaurant staff filled the Marriott hotel in Woodley Park in honor of the 2011 Restaurant Association Metropolitan Washington (RAMMY) Awards. The awards honored some of the best in the restaurant industry (though there were several restaurants whose praises went unsung during the night). If you missed the live tweeting, you’ll find the full list of winners after the jump. So let’s discuss the awards a little, shall we? 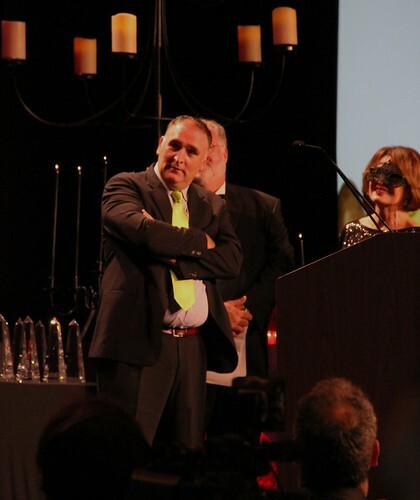 First off, the Duke Zeibert Capital Achievement Award to a very well-deserving José Andrés. Setting the trend for the other winners, he thanked his wife, gave shout outs to some of the chefs who have been in DC long before our dining scene started really picking up and added, “Much of who I am I have to thank Washington for that.” In his speech, he briefly talked about how the restaurant industry has to work towards not only eliminating hunger but also obesity. Another endearing moment of the night was when husband and wife team, Kyle Bailey and Tiffany MacIsaac of Neighborhood Restaurant Group, took home the Rising Culinary Star and Pastry Chef of the Year awards, respectively. In my own opinion, I also thought that Estadio’s win for New Restaurant of the Year and The Source’s win for Fine Dining Restaurant of the Year were spot on. There was some hullabaloo over the awards that were voted on by the general public. Namely, most of us in the audience were murmuring about Carmine’s winning for Favorite Restaurant and for Power Spot. Not only does it seem like a sham for a “chain” restaurant to win for Favorite Restaurant, but it’s a restaurant with New York City roots. Come on DC, don’t you want to get away from the endless comparison to the Big Apple? Do we have some sort of masochistic desire to perpetually be the second fiddle to New York’s dining scene? As for Power Spot, there are a dozen places around Capitol Hill that might have been more logical nominations/winners. 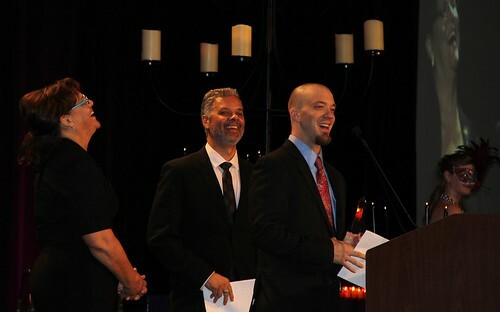 I also thought it was a little funny for Chef Geoff’s in Tyson’s Corner to win for Hottest Bar Scene. Not that I doubt their bar scene is jumping…but in a city full of bars that are regularly filled to the brim on Saturday nights, we chose a place in…Tyson’s Corner? 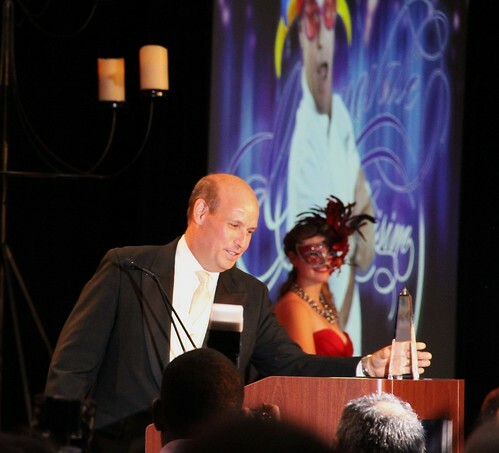 A heartfelt congratulations to all of the 2011 RAMMY award winners; you all are responsible for putting us on the map when it comes to food and raising the bar (and our palates).